Confetti Cannons are a Blast! 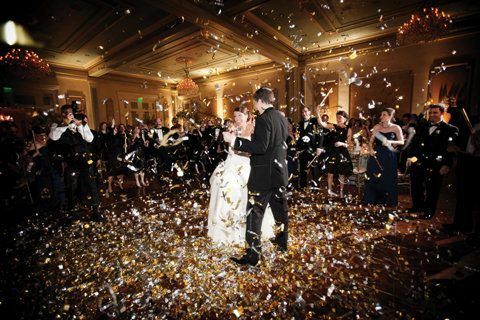 Whether it’s streamers, confetti or mylar (small, metallic rectangles) we can provide any level of confetti you desire. 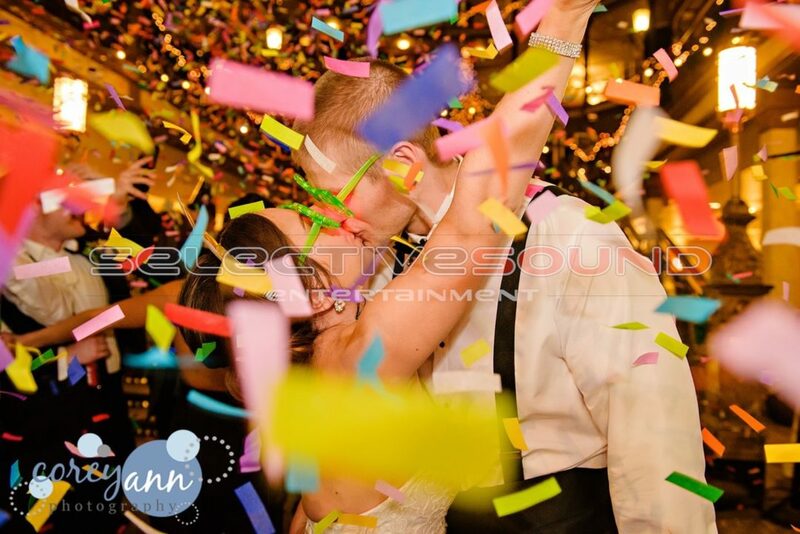 Likewise, we can even customize the colors of the confetti to fit the theme of your wedding. 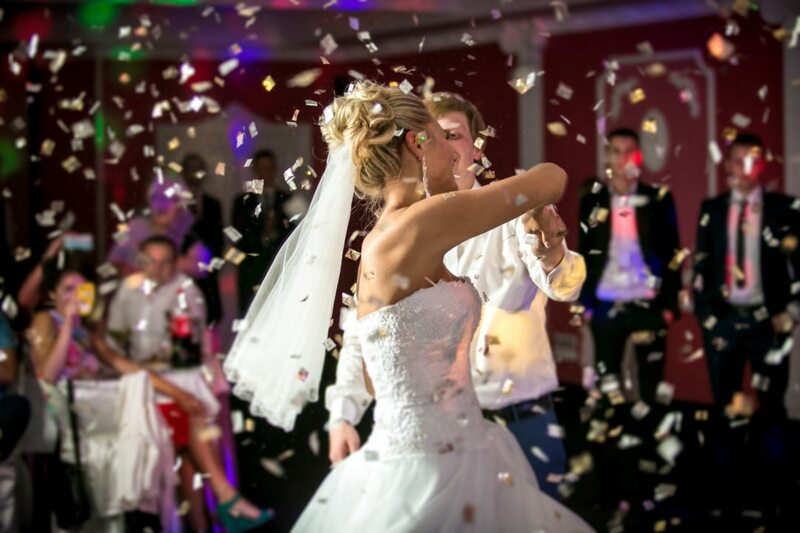 Our confetti cannons are also perfect for many different wedding moments. From first kiss as husband and wife to grand entrances and first dances. At Selective Sound Entertainment we have 2 different types of cannons to pick from, depending on what look you’re going for. The first confetti cannon is a CO2 single shot cannon that will shoot 15-20 feet in the air. The other cannon is a high volume, continuous flow cannon. Our highly experienced technicians are more than happy to help if you’re unsure of which one to choose. Furthermore, just simply explain your vision and they can inform you of the best choice for that special moment you have in mind. Just to note, everything that comes out of our confetti cannons is 100% bio-degradable. However, be sure to check with your venue to see if they allow confetti cannons. Some do not allow this special effect and similarly, some may charge a cleanup fee that you would be responsible for. 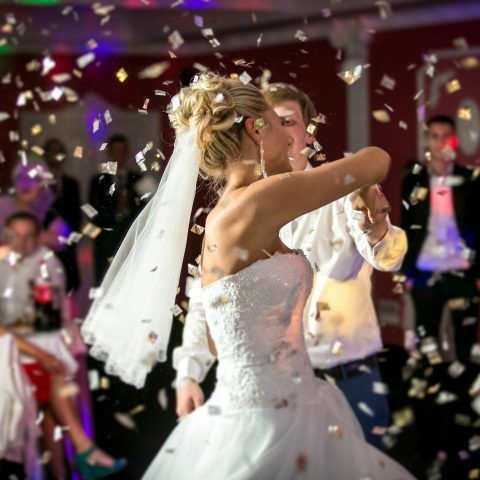 If you’re ready to have blast at your wedding then contact us for a free quote!